By Amanda Glenn 6 Comments July 11, 2018 This post may contain affiliate links. Domperidone is a prescription medication that can be used to increase milk supply when other methods haven’t worked. Is it effective, and is it safe? 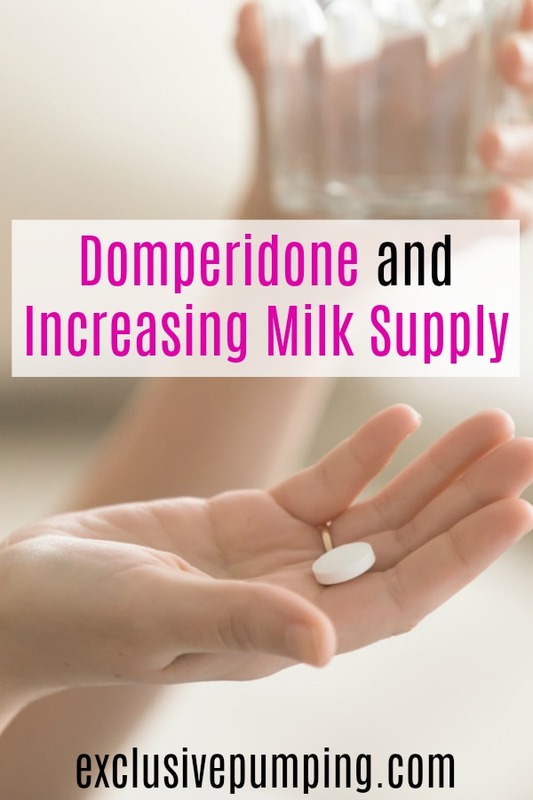 Here is everything you need to know about domperidone and increasing milk supply. It is a medication that is used to treat stomach disorders and prevent nausea and vomiting. One if its side effects is that, in some lactating women, it increases the amount of breast milk produced. In a 2010 study of mothers of premature infants who had experienced “lactation failure,” the women who took it saw in average breast milk volume increase of 267% compared to 18% for the group that took a placebo. How does domperidone increase milk supply? It’s likely that milk production is increased because domperidone increases the production of prolactin by the pituitary gland. It does this by blocking dopamine (which decreases prolatin secretion). This results in more prolactin and more breast milk. 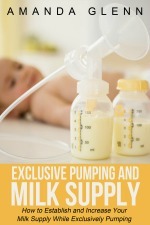 Most people that use it see increased milk supply within three to four days. Some women notice a difference much faster, within 24 hours; with others it may take several weeks. The recommended dosage is 30 mg three times per day, at about 8 hour intervals. The side effects that have been noted are abdominal cramps, dry mouth, diarrhea, rash/itching, and a change to menstral periods. Is it safe to use? I heard the FDA blocked its use in the United States. As far as what happened with the FDA, this is somewhat controversial. The FDA also noted that domperidone is not approved specifically for lactation in any country and that the drug is secreted in breast milk. So, the FDA says it’s not safe because of the risk of cardiac arrest; the breastfeeding community states that this risk is minimal given that the patients that has cardiac arrhythmias received very high doses (1,000mg intravenously) as opposed to what a breastfeeding mother would get (30mg orally). Also, the individuals who suffered from cardiac issues were already quite ill when they were given the medication. I would obviously recommend talking to your doctor about this and any other concerns before moving forward. How can I get domperidone? If you do not live in the United States, it will be much easier – in many countries, like Canada, the UK, New Zealand, and Australia, your doctor can prescribe it and you can get it like any other medication. If you do live in the United States, compounding pharmacies used to be an option, but the FDA got more oversight over them in 2013, and therefore, many no longer make the drug. However, if there is a compounding pharmacy near you, you can call and ask what their policy on making domperidone is. Per Dr. Newman, who is a breastfeeding expert, the other option is ordering from an international pharmacy (here are the FDA regulations for doing this). What are the alternatives if I can’t get it? There is another prescription medication – Metoclopramide, also known as Reglan – that works very similarly to domperidone in that its “on label” use is treating nausea and vomiting, but it also inhibits dopamine and increases milk supply. This drug is approved by the FDA. The downside to Reglan is that depression is a side effect. Since new mothers are susceptible to post-partum depression, taking a drug with this side effect may be contraindicated, especially if you have a family or personal history of depression. Breastfeeding supplements and herbal galactagogues, like fenugreek and blessed thistle, are the other options. When you get your prescriptions, you should confirm with your doctor that you can take it without any issues, and that there are no interactions with any other medications you may be taking. Can I just stop taking it or should I wean off of it? You should wean off of it. A sample weaning schedule is available here. Do you have experience with domperidone and increasing milk supply? Please share it below! Hi! I was wondering if anyone could help me, I got a prescription from my doctor (finally!) but I didn’t realize how expensive it was here in the USA. I’ve had friends who used canadadrugs.com before but I can’t find them anywhere now, what happened to them? Is there somewhere else I can look to try and get it from Canada? I heard they’re way cheaper! Any advice would be so helpful, thank you! I used domperidone with my first baby when my supply tanked due to being back at work and unable to keep a regular pumping schedule. 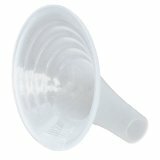 It was a lifesaver and allowed me to breastfeed until my daughter was 1.5yrs. I am in the US and used a compounding pharmacy. 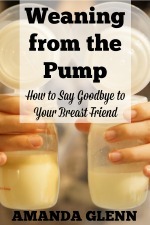 I’m currently feeding baby #2 and recently noticed a major dip in my pumping ability and considering taking it again. I am trying the herbal route first, but know that domperidone worked very well for me so will use it if needed. I’ve been increasing the time I pump, always do compressions, but sometimes life gets in the way. I used Motilium (dom) to increase my milk production. It worked very well. It was a real saviour to me. I also take 3 tabs of Fenugreek twice daily and have oats for breakfast. Everyone should discuss the benefits and risks of this medication with your doctor. “Healthy Nursing Tea” was a life saver for my supply! I was barely pumping what my daughter ate while I was away and now I pump 3-5 ounces more! Thanks for great article. It’s very helpful and informative. “Healthy Nursing Tea” is good too. There are several things you can do to increase your supply (Just as I did with my milk supply). 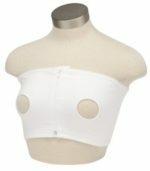 The first one is stimulation to the breasts. Make sure you put the baby on for every feeding and do NOT supplement. Supplementing is what a lot of mom’s do thinking they have to because the baby is “starving” but babies won’t starve. In fact, the more your baby nurses, the more milk you will produce. As far as medications go, you can take Fenugreek (an herbal supplement) or drink Healthy Nursing Tea to increase milk supply. I’ve been on Domperidone 3 pills, 3 times a day. So I’ve noticed a massive increase in the amount I’ve produced. And it shows when I pump. I get Domperidone (Motilium) from “domper4bf”. I also drink roughly 100oz of water a day. I take my pills before each meal. I think they work better if taken that way. Good luck and keep trying.